The Arkansas Razorbacks pink Medium StuffleBag by BudBags is the best of both worlds. 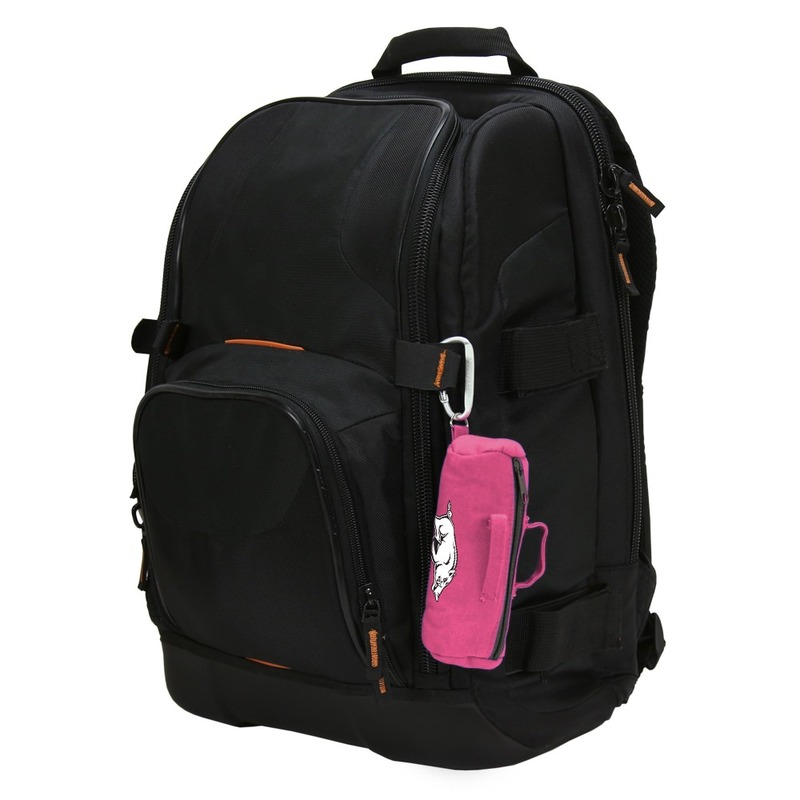 It offers plenty of storage space and it looks good doing it! 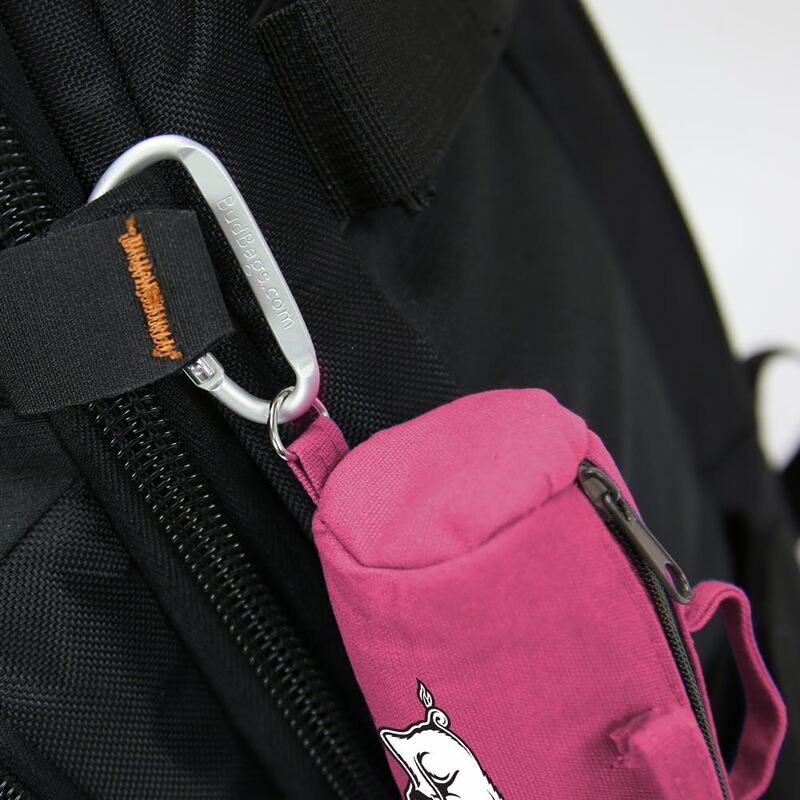 The pink Medium StuffleBag is small enough that you can connect it to a strap or belt with its carabiner, but has enough room to carry plenty of your loose ends. Keys, chargers, cords, makeup, mints, you name it. 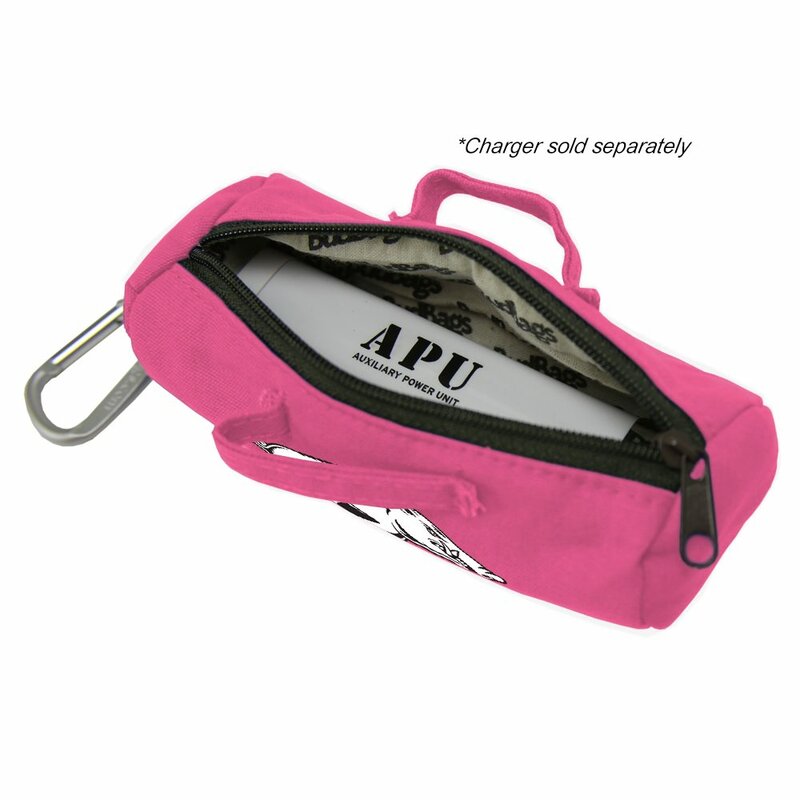 If it can fit in the palm of your hand, it can fit in the pink Medium StuffleBag. 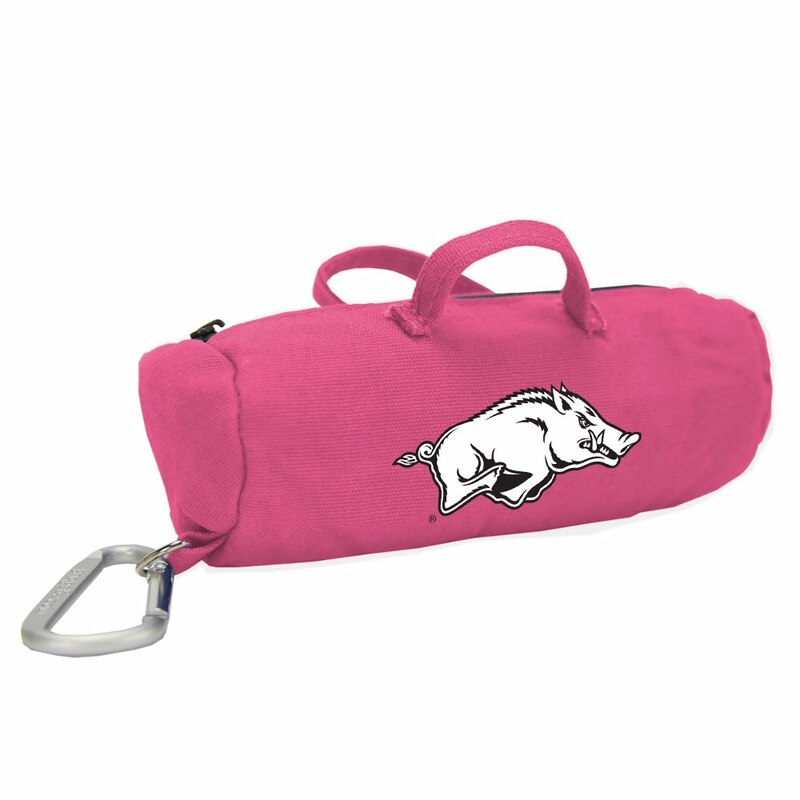 This vibrantly colored bag has a full length zipper for easy access and comes with a padded lining that will protect your valuables.